Discussion in 'Archive' started by Artchem, Feb 6, 2019. 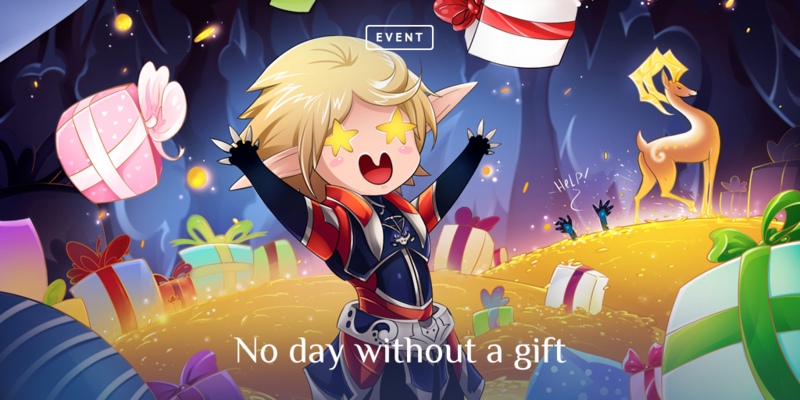 Be careful: you can receive only one daily reward on your account - keep that in mind and choose the correct character to obtain rewards with from the very first day. In case you have accidentally closed the Attendance Check window without claiming your reward, you can recall it from the Main menu → Attendance Check. To claim the reward, click on its icon. You can claim your daily reward after being online for 30 minutes. Upon clicking on the reward a timer will be displayed in system messages - in case you have to wait. You can use Agathion: Singer & Dancer only after equipping the Agathion Bracelet. If you don't have it, you can purchase it at NPC Collector Pona in Giran for 500 000 Adena. A character of any level and class is eligible for the reward. All rewards obtained during the Attendance Check event will remain on the server even after the event is concluded. KSERW, enereS, Constance9 and 3 others like this. The last day reward is THE BOMB! Great event. I'm happy the items can't be exchanged so there is no advantage to creating bogus accounts. My only request for next time is that you make more rewards shareable within an account. For example, I can't think of any reason that unopened jewel boxes and unused rice cakes can't be shared within an account if the player changes his/her mind about which character to focus on. Thanks. I'm happy the items can't be exchanged so there is no advantage to creating bogus accounts. This would be possible by simply putting in the exchangeable items in the 9th day or later. All the XP items are ok and a good preparation for double XP, but there is no exchangeable or random item in there. Therefore the Adena gain from this event is 0. That is correct. The limitation I object to is that once you have taken an item on a character (perhaps by mistake, as you did) you can't move it to another character on the same account. As long as it stays on the same account I don't see why they wouldn't allow us to do that. Sorry, I didn't follow you on the first comment. Putting in the exchangeable items on any day would cause people to create bogus accounts on that day. Putting them on the 9th day doesn't help at all if the accounts are created on the 8th day. I agree that it would have been nice to have a +50% adena or +50 drop rate rune, say a 7-day. I don't agree with putting anything exchangeable or random in the list because of the bogus accounts problem. Good to bounce around these ideas, though. Hope Innova is reading and will act on them.